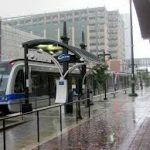 If you have been looking for another reason to invest in Belmont, pending light rail should be on your list. There was a meeting at the end of August where over 200 community members met at Gaston College in Belmont with Jason Lawrence, Senior Transportation Planner with Charlotte Area Transit System (CATS) to discuss the plans and hear input from residents. The light rail extension is still in the preliminary planning stage. The reason for the meeting was to discuss extending the LYNX light rail system across the Catawba River into Belmont and possibly Gastonia. This planning phase is important to gather public comments. Next will come the planning, design, funding, and other considerations, then finally building. 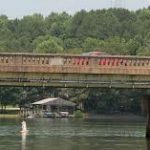 Funding has already been secured to replace the Wilkinson Boulevard bridge. This should happen in the next few years. This makes the timing of the meeting appropriate so future light rail plans can be incorporated into the design for the bridge. The western line for the light rail will also eventually connect to the Charlotte Douglas International Airport. This is great for residents of Belmont as they will be able to get to the airport or an uptown commute, or get up to the University with ease. 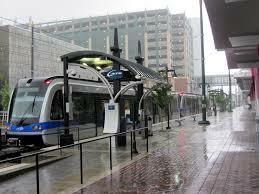 When the light rail first came to Charlotte, properties along the first line increased dramatically in value. Many more homes, condos, and businesses were built to serve commuters. The same is likely to happen in Belmont and Gastonia. That means that now is a great time to invest in these areas. The light rail could take a few years before they begin construction, and then a few more years until completion of the western line, but it could be a real boon to the area and could spur growth for years to come. To read more, check out the article in the Banner News.